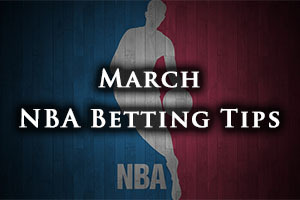 The Monday NBA action got us off to a great start but it is the Tuesday night action that will really help us to feel as though the new week is really going somewhere. The Hornets were trounced at home by the Wizards, losing by a score of 69-85. The Hawks were much more dominant at home, finally overcoming the Kings by a score of 130-105. The Bulls slipped to a home defeat as the Grizzlies won in Chicago by a score of 91-101 and the Suns also tasted defeat at home, losing in Phoenix 80-98 to the Golden State Warriors. The Heat were defeated in Miami with the Boston Celtics picking up an excellent 90-100 win. The Bucks lost out at home to the Pelicans, the final score ending 103-114 in favour of the team from New Orleans. The Knicks were demolished in Denver, the Nuggets winning by 106-78 and the Timberwolves slipped to a defeat in Los Angeles, with the Clippers running out 89-76 winners. Although he is back with the Cleveland Cavaliers, there is no doubt that any time LeBron James lines up against the Dallas Mavericks, attention turns back to the 2011 NBA Finals. James has downed the Mavericks many times in his career since then but that is the series of games that people are always keen to remember and highlight. James started well, grabbing 24 points in Game 1 but after that, the Mavericks took control and the play of James received a lot of criticism. This has fuelled him against the Mavericks ever since and if he hits the heights again; it could be a tough challenge for the home side. Both teams are similarly stacked going into this game and the Cavs hold a 40-25 record while the Mavericks hold a 41-24 record. The road record for the Cavs stands at 16-16 while the home record for the Mavericks is 21-10. Both teams won their most recent game, the Cavs defeating the Suns 89-79 on Saturday while the Mavericks won in Los Angeles against the Lakers on Sunday by a score of 93-100. For the 10 game record, the Cavaliers have a record of 7-3 and the Dallas side holds a 5-5 record. For average points scored, Dallas are ahead, 104.4 to 102.5 and for average points allowed, the Cavs lead 98.5 to 100.4. The Cavaliers look likely to be without Shawn Marion and the Mavericks could be missing Chandler Parsons while Devin Harris and JJ Barea are monitored closely. Taking the Mavericks with a +4 handicap at home, with odds of 1.90, isn’t a bad bet for your Tuesday betting activities. Bet Now! The Raptors are having a terrible time of things at the moment and even though the Spurs were in poor shape the last time these two sides met, they are in a much stronger position at the moment. If current form counts for anything, the Raptors are there for the taking but the team from Toronto has to face up to getting their act together and saving their season before it whimpers out. Toronto hold a 38-25 record this season and this includes a 17-14 road record. 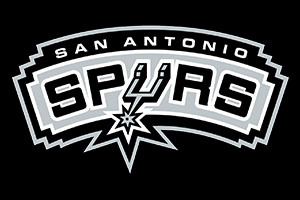 The Spurs hold a 39-23 record, and this includes a 23-7 record at home. The Raptors have lost their last three games, including a Sunday loss away to Oklahoma City Thunder by a score of 108-104. The Spurs have won their last five games in a row, including a Sunday night home win against the Bulls, with the San Antonio side winning by 116-105. For the ten game record, the Raptors have a 2-8 record while the Spurs hold a 6-4 record. For average points scored, the Raptors lead by 104.4 to 101.3 and for average points allowed, the Spurs are ahead with 97.2 compared to 101.0. The Raptors may be missing Kyle Lowry for this game. The odds of -7.5 for the Spurs, at odds of 1.90, should be enticing enough for most people on Tuesday. Bet Now! After a really poor start, the Pistons had ideas about making the Play-offs but they have struggled of late and this is going to be a matchup between two teams that are really struggling at the moment. It sums up the Lakers season to say that the only thing they are thinking of in the build-up to this one is trying to avoid having a record breaking bad season. The Pistons have a 23-39 record for the season so far and this includes a road record of 11-18. The Lakers have a 16-46 record, and this includes a 9-21 record at home. The Pistons are on a losing streak of 6 while the Lakers are on a losing streak of 5. Both teams lost at home on Sunday, the Pistons losing at home to the Hornets by a score of 101-108 while the Lakers lost at home to the Mavericks by a score of 93-100. Both teams have a 3-7 record in their last 10 outings. For average points scored, the Lakers have an advantage of 99.3 to 98.3 while for average points allowed, the Pistons are ahead 99.8 to 105.7. The Pistons could be without Brandon Jennings while Joel Anthony and Quincy Miller have slight knocks while the Lakers could be without Nick Young and Julius Randle while Kobe Bryant and Carlos Boozer are slight doubts. This is likely to be a close one so taking the Pistons with a -2 handicap, at odds of 1.90, should be a smart option. Bet Now!